OK. Nate Silver’s FiveThirtyEight Twitter account was very quick on Saturday, right after Mr. O’Malley announced that he is going to challenge Hillary Clinton for the Democratic presidential nomination, to point out that Mr. O’Malley has “essentially zero support” from Democratic office-holders and has just two percent support in Iowa, New Hampshire and national primary polls – far worse than Barack Obama eight years ago. Numbers are numbers. But, on the word side, Mr. O’Malley’s entrance into the race could be more interesting than we think – if only for the messaging challenges the former Maryland governor faces. Setting aside the polling numbers for a moment, let’s look at what Mr. O’Malley’s record actually provides in terms of potential “marketable” messages. Clearly, Mr. O’Malley wants and needs to position himself to the left of Mrs. Clinton and – in a vacuum – strong talking points based on these accomplishments would do just that. Unfortunately for him, Mrs. Clinton has been saying many similar or close-to-similar statements — the system punishes the middle class; immigration changes should be even broader; minimum wages need to be raised, etc. And let’s not forget that Bernie Sanders, the independent Senator from Vermont who also will be in the Democratic primaries, is more of a natural fit at that end of the political spectrum. 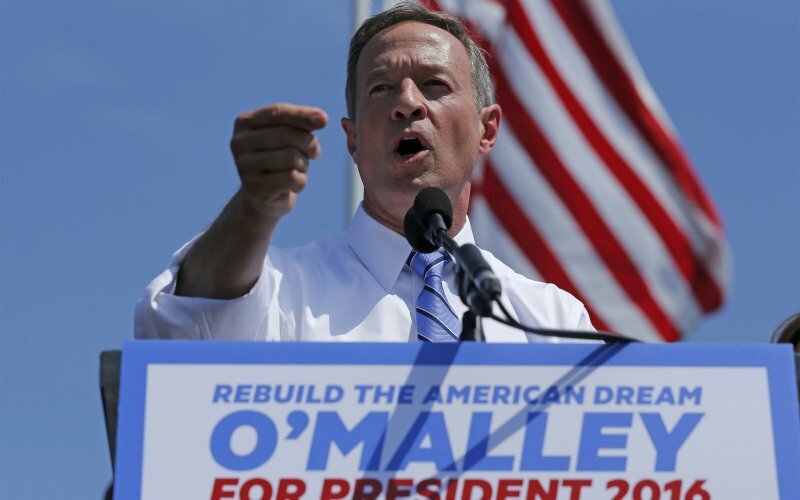 So Mr. O’Malley may find that his Maryland accomplishments – his liberal pedigree, really – do not really differentiate him in any meaningful way. He likely will have more success with strong messages driving home his opposition to a pending Pacific Rim trade deal and the Keystone XL pipeline and his support for expanding Social Security benefits. Mrs. Clinton has been tap-dancing on and/or avoiding these issues, and they remain open as meaningful talking point for Mr. O’Malley. While his specific issue-by-issue messaging probably still needs to be refined, Mr. O’Malley’s messaging strategy – from a macro point of view – already is clear. Generation Forward, the super PAC created by Damian O’Doherty, a long-time O’Malley backer, also is emphasizing age – Mr. O’Malley is 52, Mrs. Clinton is 67 and Mr. Sanders is 73. “We believe that Governor O’Malley is the best candidate to appeal to younger generations and the issues they care about,” said Ron Boehmer, a spokesman for the super PAC and Mr. O’Malley’s spokesman when he was in the Maryland statehouse. Clearly, she gets an A for her quick response, but the inclusion of “strong families” in her response – from a messaging standpoint – probably is wording that she will want to stay away from as the primary season (and even the general election) roll out. It’s going to take some more time before we know for sure if Elon Musk is the second coming of Steve Jobs. But one thing we know for sure now is that – for the media, at least – the new has replaced the old. Consider just a recent sampling of the news stories – some tied to the release of Ashlee Vance’s new biography about Musk – focused on the man behind Tesla Motors, PayPal, SpaceX and SolarCity. The book is entitled Elon Musk: Tesla, SpaceX, and the Quest for a Fantastic Future. In previewing the book, Daniel Sparks in the Motley Fool cites a statement that easily could have applied at Jobs. “History has demonstrated that while Musk’s goals can sound absurd in the moment, he certainly believes in them and, when given enough time, tends to achieve them,” Vance writes. “I would tell those people they will get to see their families a lot when we go bankrupt.” — one associate recalling Musk’s response when an employee complained in Tesla’s early days that they were working too hard. “He goes into his brain, and then you just see he is in another world. He still does that. Now I just leave him be because I know he is designing a new rocket or something.” — Musk’s mother describing how her son, as a child, sometimes seemed to drift off into trances. While having dinner with fellow PayPal executives at the Hard Rock Café, Las Vegas, he ignored everyone and read an obscure Soviet rocket manual that was moldy and looked like it was bought on eBay. At the age of 10, he was given a Commodore VIC-20 with five kilobytes of memory. He took just three days of no sleep to learn BASIC and program it. He totaled his $1 million McLaren F1 sports car doing tricks on Sand Hill Road en route to a meeting with a venture capitalist. He turned to his colleague in the car and said, “The funny part is it wasn’t insured.” They had to hitchhike a ride to the VC office. In a piece unrelated to the Vance book, but clearly spurred by the horrific Amtrak crash in Philadelphia, Sascha Segan writes in PC magazine that Amtrak should be sold to Musk. “The Amtrak crash in Philadelphia … was preventable; a technology called Positive Train Control could have stopped it. But Amtrak is so starved and rotten that there’s no chance we’ll see that any time soon. If Congress doesn’t want to pay for a quality rail system – and considering it just cut Amtrak’s budget, it obviously doesn’t — it’s time for a radical solution. Sell the whole thing to a transportation visionary. Sell it to Elon Musk. The writer then asks if it is “totally insane” to give over our national rail system to a billionaire who likes to play trains? “The men in question have unconventional characteristics – and that’s partly responsible for driving them to become such successful entrepreneurs,” Justine Musk wrote. “One reason they become the entrepreneurs they become is because they can’t or don’t or won’t fit into the structures and routines of corporate life. All interesting, but perhaps premature. Remember, Steve Jobs wasn’t really Steve Jobs – or at least the one that most of us remember – until the second time around. 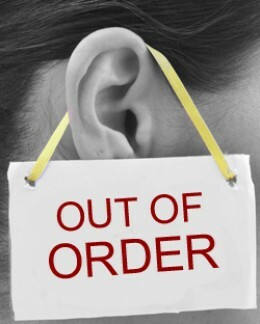 Imagine: The sudden – and total – loss of your hearing in one ear. Your life, going from stereo to mono in one quick instant. No advance warning … perhaps just an explosive pop in your ear. Unable to determine from where in the room – or from what chair at the dining- or conference-room table – a sound is originating. Tinnitus: imagine aluminum foil being crinkled, non-stop and loudly, in your head. Vertigo: several months to several years of trying to function without any balance, concerned that people around your might think you are drunk or stoned because you have to hold on to the wall to make your way down the hallway. It is referred to by several different names, the most common of which is single-sided deafness, or SSD. A very specific name for an issue that usually remains unexplainable and is far more common and more troublesome than many of us realize. The fact is, approximately 60,000 people in the U.S. experience SSD every year. It can happen suddenly … in a moment, really. And “pop,” your hearing is gone. It can recover in a few minutes, few hours, few days … or never. It can have a spontaneous recovery rate of up to 60 percent, which leaves 40% never recovering. And so, your first couple of doctor visits are to the internist and you end up trying nasal sprays and other suggestions that fail. And then you visit the ear, nose and throat specialist, and take the audiology test that is extremely difficult because you can’t hear the beeps and squeals, but you can feel immense pain and pressure. And then the ENT specialist tells you that you have single-sided deafness and that you have lost 100% of your hearing in that one ear. In listening to the doctor, you realize how your life is already changing, as your are cupping your good ear with your hand and turning in your seat so you can better hear what the doctor is telling you. And then you ask how this could happen, and you are told there is no apparent cause, which means no one knows. Some people simply are told that it is a virus that affects people of a certain age. And, so, those affected by SSD go forward, experiencing an initial (and sometimes) longer period of shame, embarrassment and even anger because certain noisy settings are extremely difficult and because even one-on-one conversations have been compromised. But they also learn valuable coping measures, which will be discussed in my next posting.